Independent.co.uk British pop-rock band The 1975 released its third album, titled “A Brief Inquiry Into Online Relationships,” on Nov. 30. On Friday, The 1975 released its third studio album, “A Brief Inquiry Into Online Relationships.” Since its debut in 2013, the Manchester-based pop outfit has found its niche in a brand of excess, setting a trend of self-indulgence with its sophomore album’s ridiculously long title and its carefully aestheticized live shows. 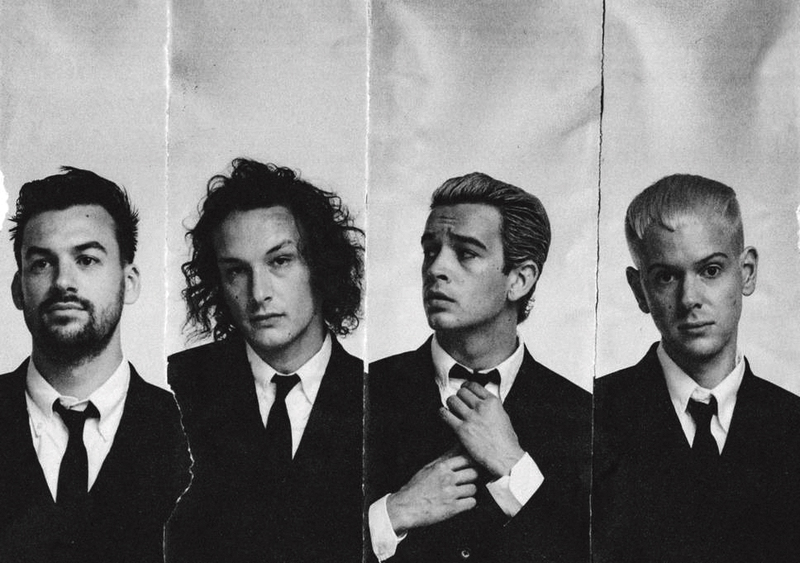 If The 1975 has historically been bound to the aesthetic culture that surrounds them, this album sees them branching out by pushing the boundaries of its own aesthetic. The result is the band’s most sonically varied and thematically resonant work to date. Its first two albums dominated by dance pop beats and ‘80s-inspired synths, the band’s vintage roots emerge more brilliantly than ever in its latest album, which marries its signature sound with a miscellany of musical traditions. The album hits sonic sweet spots with “Give Yourself A Try,” a dance track that invokes the youthful desperation of post-punk, and “Love It If We Made It,” a lament to modern anxieties that cries for help with a whining beat behind its choruses. The ‘80s inspiration doesn’t stop there — “Inside Your Mind” crawls like a slow Joy Division track, and “It’s Not Living (If It’s Not With You)” and “I Couldn’t Be More in Love” stuff the album’s latter half with power-ballad cheese. Sparse instrumentals and glitchy electronic beats feature heavily on the album, most memorably in the twinkling “How to Draw / Petrichor,” the cryptic “Surrounded by Heads and Bodies” and “The Man Who Married A Robot / Love Theme,” an eerie spoken-word story narrated by a male-voiced Siri. Other tracks exhibit an eclectic blend of genres — “Sincerity Is Scary” and “Mine” are infused with jazz and gospel, and the upbeat “TOOTIMETOOTIMETOOTIME” could pass for a Drake song. The self-titled intro song continues the band’s tradition of starting every album with a different spin on the same set of lyrics, this time featuring a piano and vocoder pairing reminiscent of Bon Iver or Imogen Heap. “I Like America & America Likes Me” features similar vocals over a more bombastic, trap-influenced beat. “I Always Wanna Die (Sometimes),” the album’s closing track, channels the emotionality of ‘90s Britpop or American emo, elevating modern melodrama to a decadent spectacle. The album yields only one major disappointment — “Be My Mistake” offers little innovation in production or songwriting, which becomes especially obvious due to its placement between two strong tracks. With its largely young female fan base, The 1975 has always been invaluable in its ability to bring thoughtful mainstream pop music to circles that usually equate “girl culture” with “low culture” — in “Give Yourself A Try,” singer and lyricist Matthew Healy consequently refers to himself as the “millennial that baby boomers like.” Its latest album is no exception; it is sophisticated, ambitious and unabashedly tailored to the interests of young people. “Love It If We Made It,” a list of grievances rattled off like a modern alternative to Billy Joel’s “We Didn’t Start The Fire,” references the fall of Kanye West, corrupt prison systems and the usage of “daddy” on the internet. “Sincerity Is Scary” and “The Man Who Married A Robot / Love Theme” illustrate the ways in which internet culture shapes relationships, and “I Like America & America Likes Me” relates anxiety surrounding mass shootings. The album speaks to Generation Z’s frustrating reliance on technology, our affinity for the music our parents listened to and even our vocabulary — the word “petrichor,” for example, has entered the teenage lexicon via moody Tumblr posts. Caught between two generations at age 29, Healy acts as a sort of mediator, expounding the dangers of technology as someone who has lived them and not just as a skeptical onlooker. The album deals in the cultural language of young people while shirking memes and irony, treating our unique struggles with the gravity they deserve. In all this talk of the dangers of youth culture, there is a validation and sympathy offered here: “A Brief Inquiry Into Online Relationships” insists that “modernity has failed us,” but never once insinuates that we have failed modernity.